After we understand about the ancient history & early Civilization in Indonesia, which we learn in The early civilizations of Indonesia part #1 and The early civilizations of Indonesia part #2, now it is time for us to understand about how the First Major Culture and Religion in Indonesia before the arrival of Islam, that is the Buddha - Hindu Culture and Religion. In this article we will cover about how the religion enter Indonesia and how it spread. We will provide you with a few theory which i hope will keep you entertain. This article off course will not be as long as my first article, but i think it is okay since the scoop is far smaller. Well that's all the introduction from me. Hope you enjoy the article. The birth of the Hindu religion was connected with the arrival of Aryan tribes in India. Aryans entered India since 1500 BC through Kaiber Pass (Afghanistan) and inhabit Aryawarta (areas which are located in the valley of the Indus, Ganges valley and Yamuna valley in the Dekhan Highlands ). Aryan race then pushed the Dravidian race (the original inhabitants of India) and then assimilation of both races ethnic culture happened.The assimilation between the two races was called Hinduism or Hindu civilization. Hindu religion is a syncretism between Aryan and Dravidian cultures that worshiped many gods. Hinduism is polytheistic, meaning it worshiped many gods. Every god is a symbol of the forces of nature. Some of the famous god are Trimurti (Brahma, the creator god; Vishnu, preserver god; Shiva, god of destruction), Prithvi (Mother Earth), Surya (the sun god), Vayu (wind god), Varuna (the god of the sea), and Agni (god of fire). Hindu religious scriptures are the Vedas, which means knowledge, which consists of four parts. Rigveda, contains poems of praise to the gods. Samaveda, contains poetry and sacred songs in the ceremony. Yajurveda, contains introductory offering prayers in the ceremony. Atharvaveda, contains spells to heal the sick and incantations for magic and witchcraft to repel diseases and enemies. 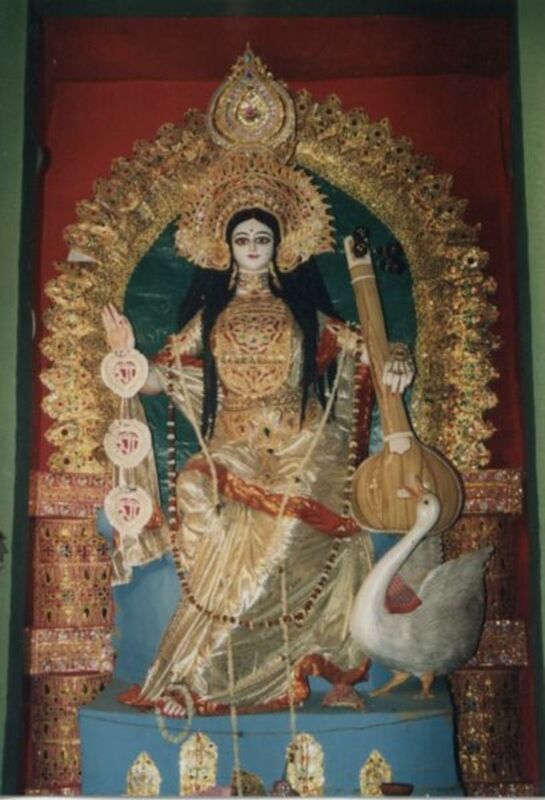 Parvati, consort of Shiva, the goddess symbolizes courage and pugnacity (durga). To reach nirvana, Hindus can do it in three ways. A person must run dharma (fulfilling obligations as a human being), artha (run the job as it should), and karma (not excessive worldly pleasure). For triwangsa (Brahmin, Kshatriya, Vaishya) are obligatory to read the Vedic scriptures. Performing a religious ceremony in the form of sacrifice (large yajna and small yajna). Great Yajna, for example, the coronation of the king, respecting first fruit picking, and the ceremony to welcome the coming season. As for the small yajna, for example, pray daily at home, birth of a child, and a cutting hair. Adhyarya who prepared a place of worship and sacrifice as well as other preparations while chanting. the perfect life would moksha, free from samsara. To be a Hindu, one must get a rope yarn caste (munya) given by the Brahmins (priests). After that, then they do caturasrama, namely brahma-carin (seeking knowledge to the Brahmins (priests)), Grhasta (a family), Vanaprasta (leaving home to be imprisoned), and saniasin or parivrajaka (nomadic, leaving worldly interests to become monks) . Sacred places for the Hindus of India, among others, the City of Benares, is regarded as the god of the city and the river Ganges as a holy river. Hinduism setbacks around the 6th century BC because of the following reasons. Brahmins who monopolize religious and ceremonial acts arbitrarily take large offering, causing the burden for the people. The birth of a more democratic Buddhism to seek nirvana itself without the help of others who are taught by Siddhartha Gautama. 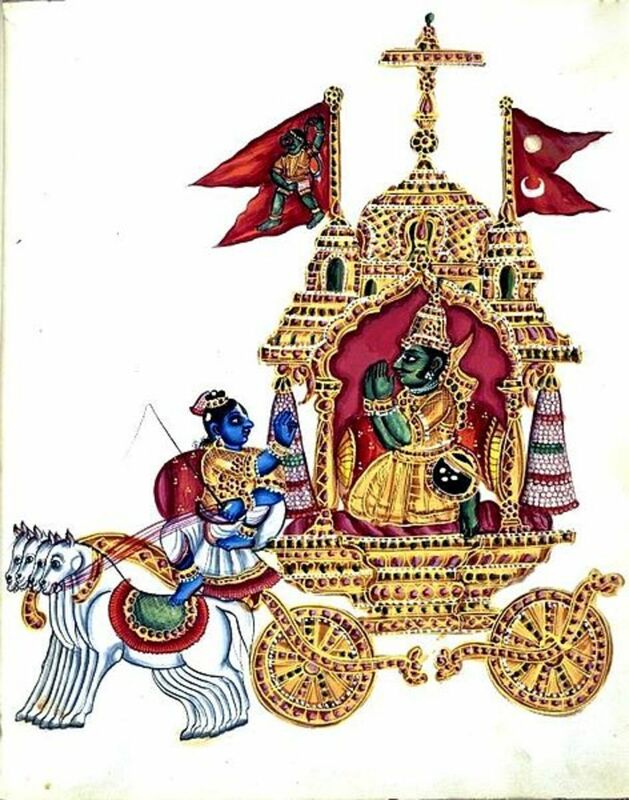 Hindus have several books in addition to the Vedas, which containing the teachings of Avatar (incarnation of god), namely the Brahmanas, Upanishads, Mahabharata, Bhagavad Gita, and the Ramayana. The Brahmanas contains interpretations (exegesis) of religious teachings contained in the Vedas. The Upanishads Contains a discussion of the Brahman, the incidence of the universe, as well as the Atman (soul) and how it return to the Brahman Almighty. Mahabharata, written by Vyasa, containing history about wars between Bharata families (Pandavas and Kauravas) in Kurukshetra War. 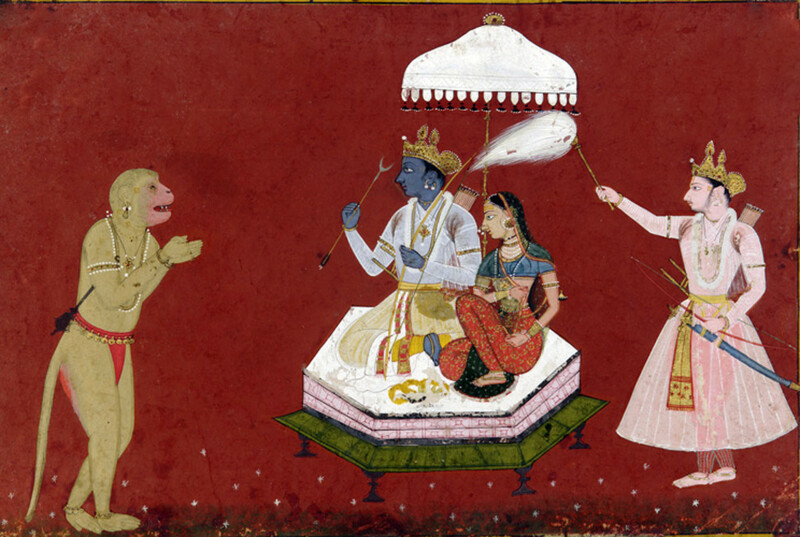 Ramayana, written by Valmiki which contains the love story of Rama and Shinta. 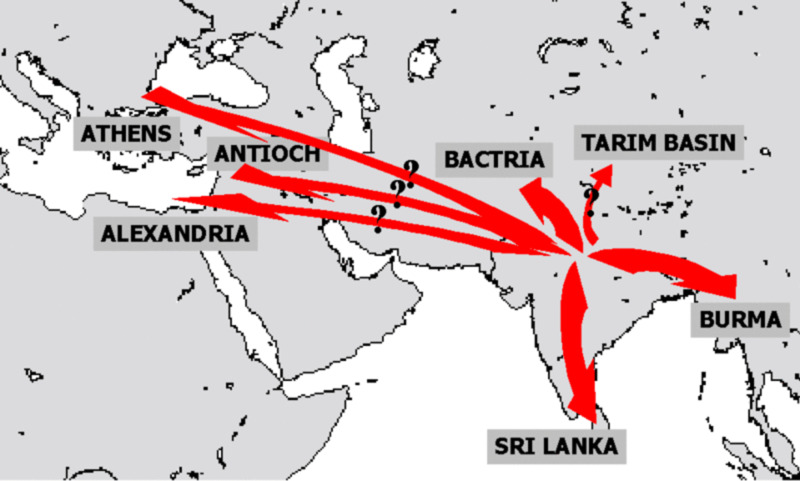 Aryans created a caste with the following distribution. Brahmin (priests), a symbol of the mouth, the clergy. They were honored as the king's adviser. 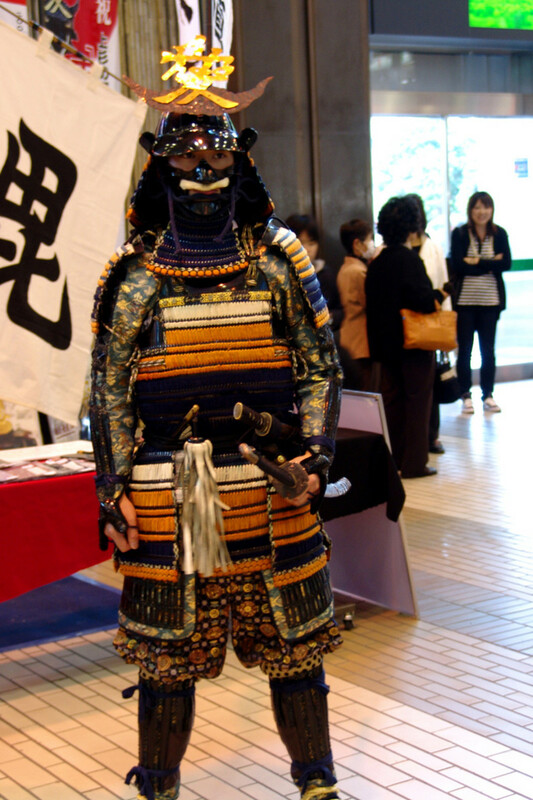 Kshatriyas (warriors), a symbol of the hand, the patrician class or nobility and warriors. The group running the government. Vaishyas (traders), symbol of the thigh, the class of businessmen, merchants, and farmers. Shudras (workmen), symbol of the foot, consisting of Dravidian people in the community. Each class shall occupy each caste and inter caste marriage is prohibited. If this happens, a person will be excluded from the caste and put in a lower caste. In addition to these castes, there is still a group that is considered lower, the pariah or deluded. This group was placed as a slave. In the decline of Hinduism, Buddhism arose in India published by Siddhartha Gautama. 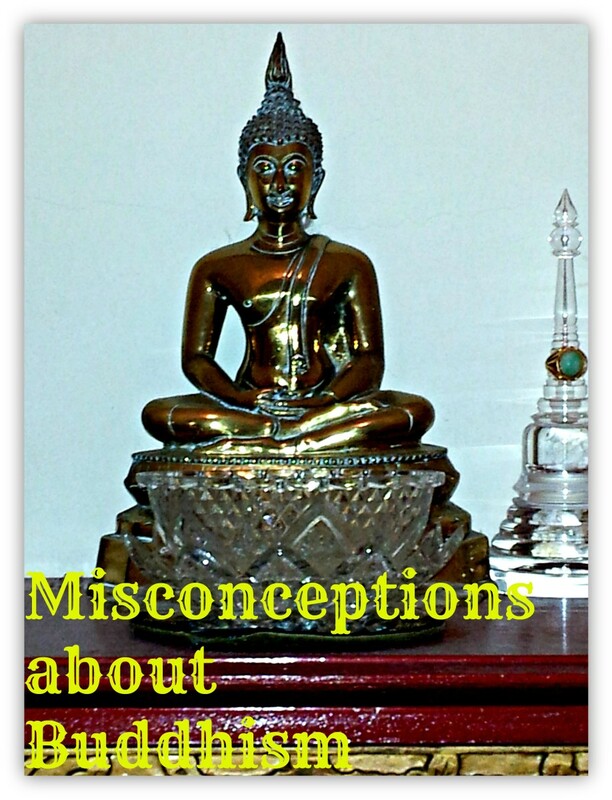 Buddhism is written in the Tripitaka scriptures meaning three baskets or three sets favors. Tripitaka scriptures is as follows. Suttapitaka, contains a set of teachings and discourses of the Buddha. The greatest part is the conversation between the Buddha and some of his disciples. In here there is also a book of meditation and worship. Vinayapitaka, contains ordinances of every member of the monastery (sangha). Abhidharmapitaka, contains Philosophical and psychological discourse and interpretation of Buddhist doctrine. There are four places that are considered sacred in Buddhism. 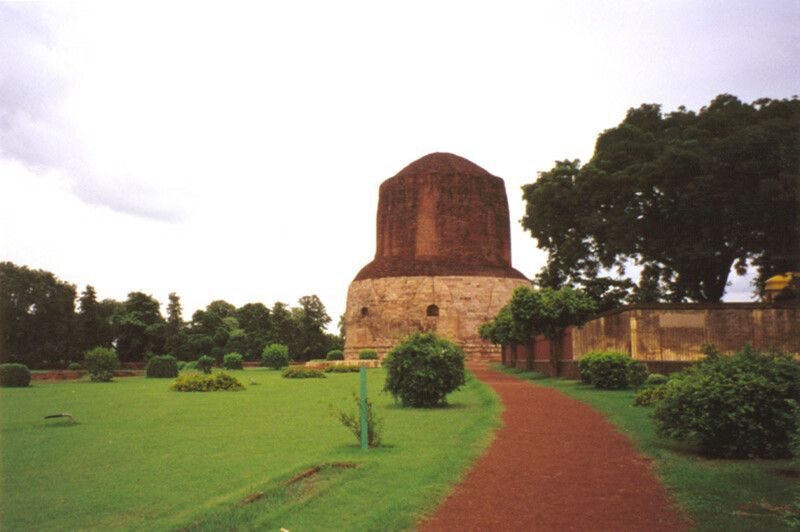 Lumbini Garden in Kapilavastu, the birthplace of Siddharta (563 BC). Bodhgaya, where Buddha Siddharta received revelation. Kushinagara, where Siddharta's death in 482 BC. Siddhartha Gautama was the son of King Suddhodana of The Kosala kingdom. His family belonged to the knights and is a descendant of the Shakya tribe. When he reached the age of 16, he married with his cousin, princes Yasodhara. Princes Yasodhara then gave birth to a son, named Rahula. At first Siddhartha lived peaceably in luxury palace. However, after making a trip out of the palace, Siddhartha experienced inner conflict about what life actually is. There are four things that he witnessed in his trip that disturb his mind. First, he saw an old man who was bent. Second, he witnessed people suffering from very severe leprosy into unconsciousness. Third, he saw the bodies being carried, accompanied by those who mourn. 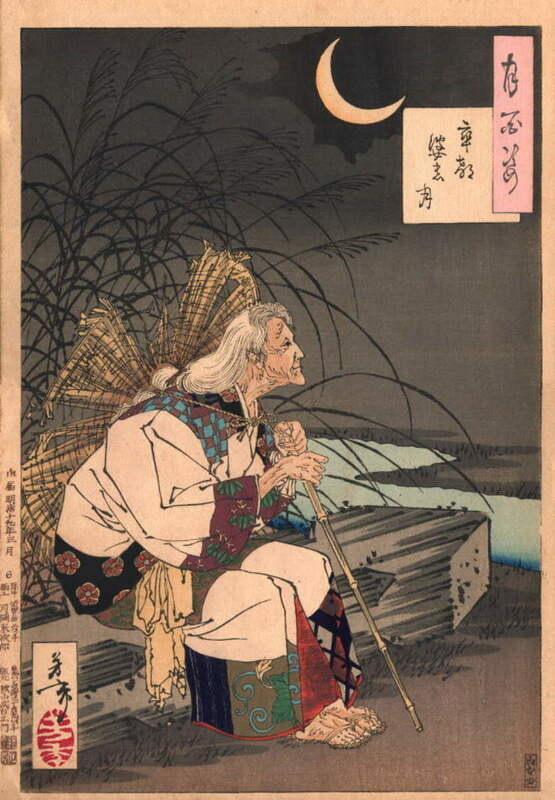 Fourth, he witnessed the poor who drive around with a shaved head and dressed in yellow (saniasin). After his anxiety peaking, Siddhartha left the palace, shaved his head, use a yellow robe, and meditate without any means of support. This event occurred in year 524 BC, exactly when Siddharta reach 39-year-old . His meditate under the Bodhi Tree ( a pipal tree ). In 517 BC, in the night that now known as the Holy Night, Siddharta got supreme enlightenment. He then called Siddhartha Gautama, meaning that people who achieve goals. 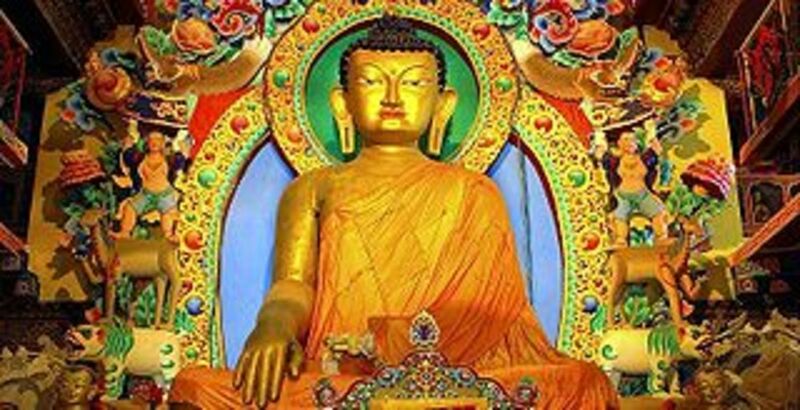 He is also called Gautama Buddha, meaning that people who receive Bodhi, and Sakyamuni, meaning descendants of Sakya sage. Day of his birth, day when he receiving revelation and the day of Siddhartha death falls on the same date, that is at the time of the full moon in May. Those three day now used as a Buddhist holy day called Vesak. Buddhism as preached by Siddharta Gautama in the Deer Park, Benares, contains the following. 1. Aryastyani, the four main truths and eight middle way (Astavida). How to remove the tresna is following eight middle way (Astavida). 2. Pratityasamudpada, meaning that is the causal chain consisting of twelve and each chain is the cause of the next chain. In the Buddhist religious buildings we will meet stupa, the dome-shaped building stands on a pedestal and given an umbrella. The function of this building is a sacred symbol of Buddhism, the warning signs of an event in the life of Buddha, Buddha body bone storage area, and a place to store sacred objects. 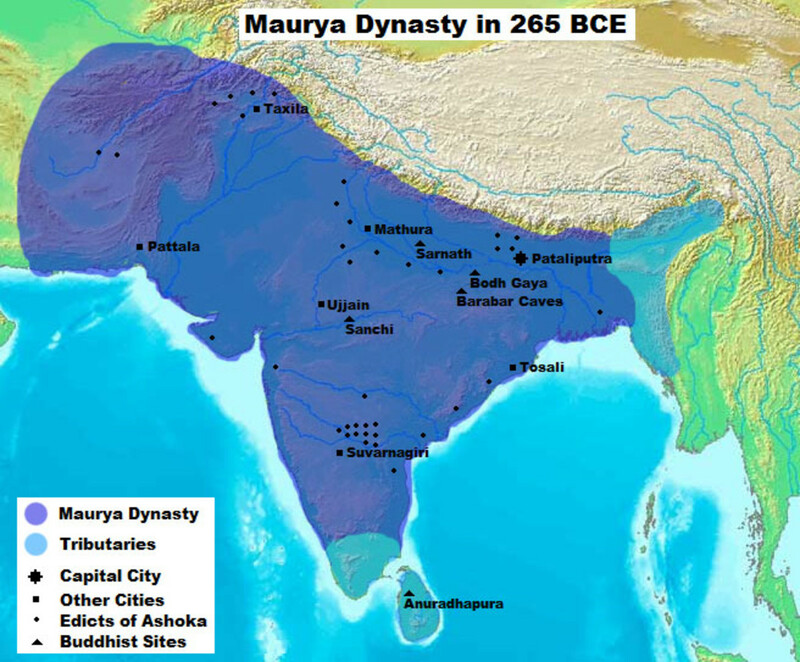 Buddhism thrived in India during the Maurya dynasty under Emperor Ashoka. This Emperor was initially hostile to Buddhism. He created a "hell Ashoka", which boiled punishment for Buddhists. However, at some point people were ordered to be boiled and not die. Emperor Ashoka aware of his mistake and enter Buddhism. Other source says, after his conquest of Kalinga, which caused the deaths of more than 100,000 soldiers and many civilians who rose up in defence; with over 150,000 were deported; Emperor Ashoka feels profound sorrow and regret. This sorrow and regret lead him to adopt Buddhism. Ashoka was a godly Emperor and establish Buddhism as the state religion. He also taught Ahimsa, which is a rule that forbidden killing and injuring creature. 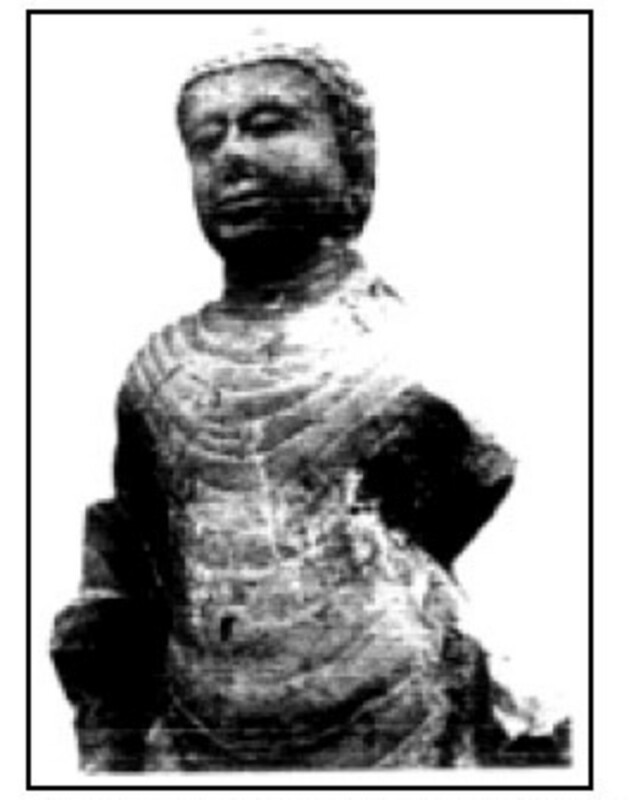 Asoka himself actual not become non-violent after adopting Buddhism, this proof by a couple of incidents mentioned in the 2nd-century CE text Ashokavadana. 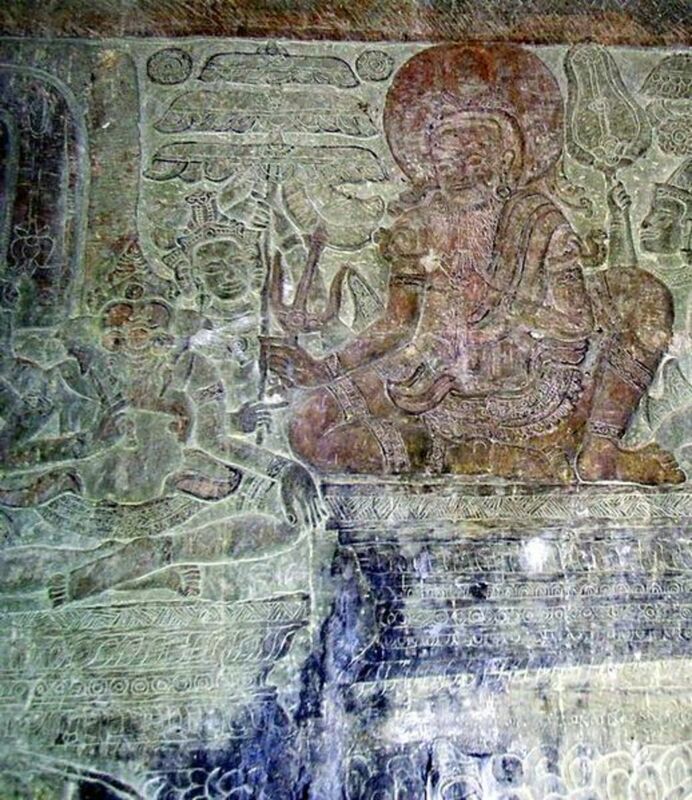 The example is when he order to kill all the Ajivikas in Pundravardhana because one of them draw a picture of Buddha bowing at the feet of Nirgrantha Jnatiputra. Around 18,000 followers of the Ajivika sect were executed as a result of this order. Emperor Ashoka sent his only daughter Sanghamitra and son Mahindra to spread Buddhism in Sri Lanka. He also sent many prominent Buddhist monks (bhikshus) to modern Kashmir, Afghanistan, Syria, Persia / Iran, Egypt, Greece, Italy, Turkey, Nepal, Bhutan, China, Mongolia, modern Cambodia, Laos, Burma (old name Suvarnabhumi for Burma and Thailand), Thailand, Vietnam, and South India. Thanks to this Ashoka, Buddhism can be broadcast to the entire world. Also, In honor of Siddharta, Emperor Ashoka erected a monument with the following sections. 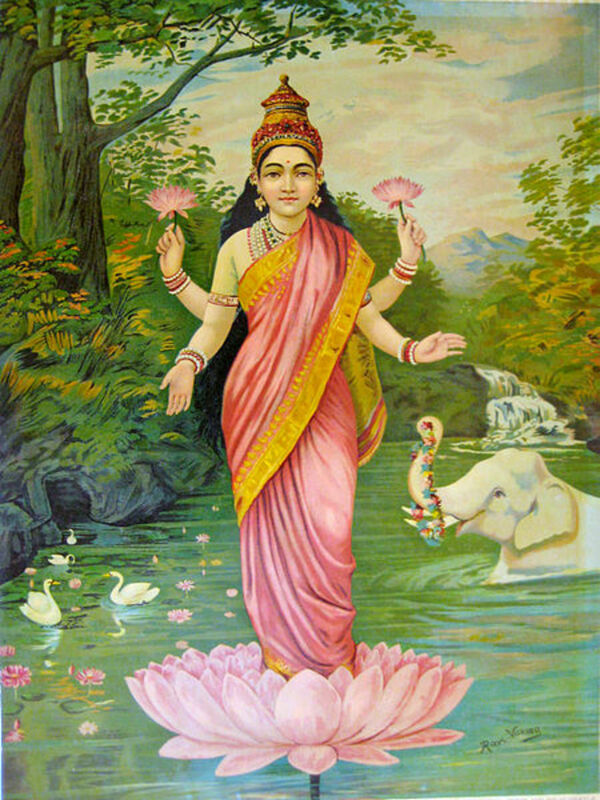 Saroja flower as a symbol of the birth of Siddharta. Bodhi tree (pipala) as a symbol of the great lighting. Jantera as a symbol start teaching. Stupa as a symbol of death. Geographically, Indonesia is located between two continents and two oceans. With the support of the abundant natural tropical wealth in Indonesia, other nations decide to buy many of those natural wealth. They also sell a variety of goods from their country in Indonesia and this condition make Indonesia into the world traffic junction. Thus, there was a trade relationship between Indonesia and the outside world, especially with India and China. Indians is estimated to have known Indonesia since before Christ. This was evidenced in the book of Ramayana there are Jawadwipa name ( Jawa / Java means millet or rice; dwipa means island ). In addition, there is another name Suwarnadwipa ( Suwarna means gold; dwipa means island ). Of course that meant Jawadwipa is Java ( because rice storehouse ), whereas Suwarnadwipa is intended to be Sumatra ( because a lot of gold produced there ). Attention from India to Indonesia is increasing in the 2nd century AD, which at that time India's having a gold shortages. It happened due to the reduced number of gold mines in India as well as the disruption of landline which brought gold from Central Asia. Greco-Roman nation pay spices and other goods from India with gold and silver. Jewelry beads of glass and stone as Indian trade goods may have arrived in Indonesia at the end of the century BC. India-Indonesia relationship become more and more crowded and as the result creating many new trading center and port in various coastal areas in Indonesia. In the 5th century, the trade center has growth and reach central Sumatra, catching with Sriwijaya, Gresik, Tuban and Jepara. In trade, the Indonesian people most likely to be active. That means, Indonesian also have active traders that come to trading ports in other countries, such as India and China. This theory was based on Indonesian nation ability to sailed the ocean that has been proven for a long time. 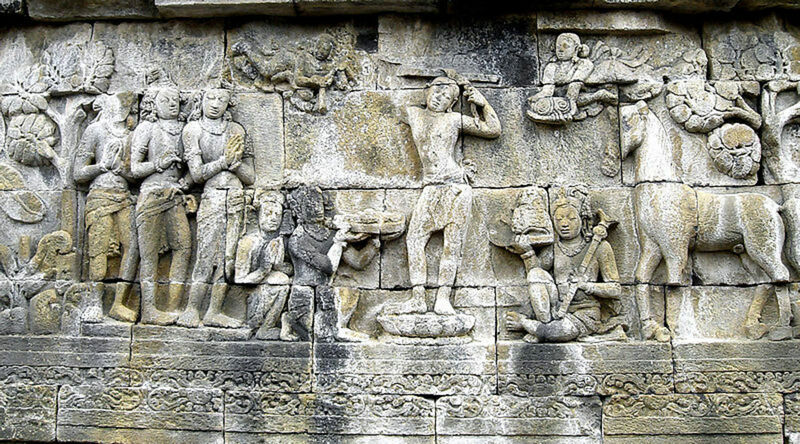 Sailing ability by using simple boat was depicted clearly in the reliefs of Borobudur temple (850 AD). Trade relations between China and countries in Southeast Asia, South Asia (India), the Middle East, and Europe actually started since the beginning of the solar year. 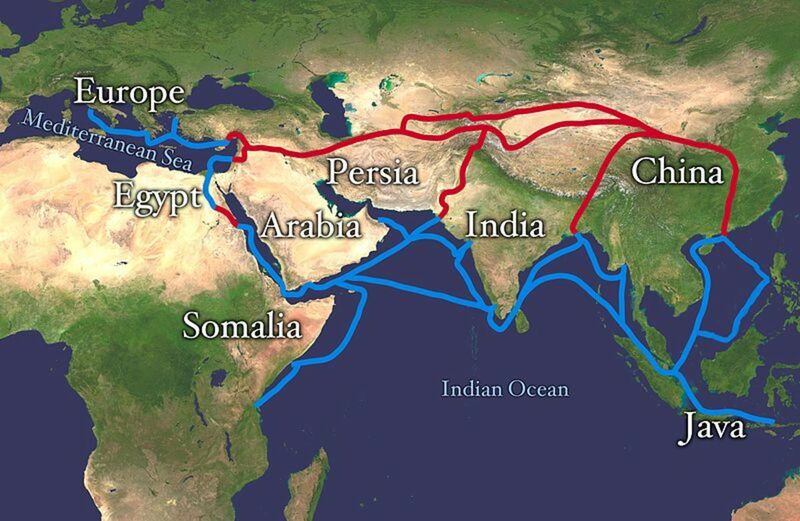 Trade routes in Asia was at first through a land called the Silk Road. Called the Silk Road because of the main items traded in those days was the Chinese silk. At first, the Silk Road through Northern path. However, the northern path felt less safe because of interference from robbers and the natural conditions is hard made people switched to the middle lane. Thus, the trade include China, India, Persia, Mesopotamia, to the Mediterranean. Due to perceived high costs and trade lines security remains unsecured the path routed to the sea. Sea trade routes that passed through the region of Indonesia through the Malacca Strait, Java Sea, Makassar Strait, and the Strait of Sunda. Along with the development of trade relations, India's culture also entry into Indonesian. The entrance The culture that entry in Indonesia is the Buddhist and Hindu Religion and culture. 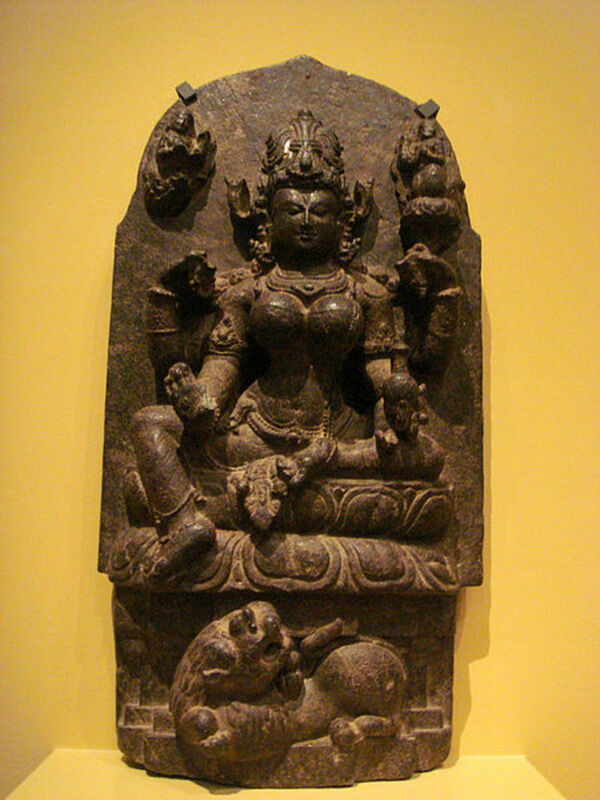 In fact, in Indonesia both grew up in the form of Shiva-Buddhist syncretism. Basically historians make two possibilities about the entry process and development of the culture of India in Indonesia. This theory gives the sense that the Indonesian people simply accept Indian culture coming to Indonesia. Arguments supporting this theory tend to see that there has been colonization, either directly or indirectly from the Indians to the nation of Indonesia. Therefore, the alleged Indian culture that evolved in Indonesia have the nature and form of such in the country of origin. This theory gives the sense that the Indonesian people themselves who actively seek out and develop the culture of India. This is possibly due to the ability of the Indonesian people who can wade through the ocean with a simple boat to reach India. Indonesian people interested in the regularity and excellence of Indian civilization so they want to use it. One way is to invite the brahmins of India to Indonesia to introduce its culture. Historians have also made several possibilities about the carriers and developers of Indian culture in Indonesia. There are several theories about the carrier and the developer of Indian culture in Indonesia. This theory proposed by Majumdar, Moekrji, and Nehru. They argued that Hinduism was brought to Indonesia by soldiers who entered the expansion. Therefore, this theory is often called colonization theory. The Weakness of this theory is that there is no historical evidence that proof about Indonesia had been conquered by India. Vaishya theory states that the entry of Indian culture to Indonesia carried and spread by Indian traders who stopped at the ports of Indonesia. Indian traders who stopped at the ports of Indonesia while waiting for the right wind direction to continue the journey settled in Indonesia. Some settled there for a while and some are actually settled for good. They settled forever for having married an Indonesian woman. This marriage further facilitate the spread of Indian culture. The process of cultural dissemination are also more smoothly if the Indian traders close to the local authorities. 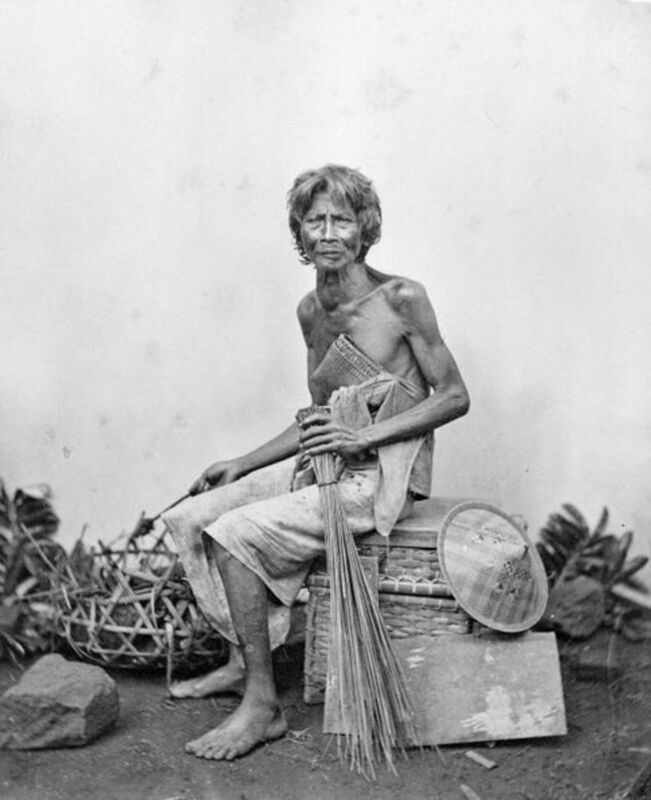 Brahmin theory states that the entry of Indian culture brought to Indonesia by the brahmins. Based on this theory, the Indian Brahmins came to Indonesia at the invitation of the local authorities in Indonesia. Thus, Indian culture is growing in Indonesia Brahmin class culture. From other theories of culture influencers India to Indonesia, the brahmin theory seems have a strong foundation. The reason given by proponents brahmins to deny other theories is, among others, as follows. There is no evidence to support that the soldiers and Indian warriors make colonization in Indonesia. Written sources about the process of colonization, both from India and Indonesia was not found. In addition, the things that always follow the colonization process in the form of removal of all societal elements of the home country (colonizers) are not met. If any, in Indonesian area occupied by the Indian community is not a process of colonization. However, they are ordinary people who happened to be the same livelihood as a merchant. Such places can still be found in parts of western Indonesia called Kampung Keling ( Black Village ). The Possibility of Indian culture carrier to Indonesian is the real traders are also less precise. The reason, traders who come to Indonesia were itinerant traders who come from the ordinary. In fact, the nature of Indian culture that evolved in Indonesia is high culture. Other reasons, the relationship with the Indian traders local authorities in Indonesia is just trade issues. Thus, it is impossible that traders have views on statecraft and religious matters. Religious influence from India who came to Indonesia one of which is the Hindu religion. In fact, Hinduism is not a religion at first to the public. That is, the deepening of faith can only be performed by Brahmins. They are justified steeped in the scriptures. In practice, in the Hindu religion was born a few streams. The great Hindu religious sect influence in Java and Bali is Saiya-Siddharta. In principle Saiva cult-Siddharta is esoteric. To achieve the level of Brahman teachers, Brahmins and ordinary experience severe test for many years. When ordinary Brahmin become a Brahmin teacher ordained, he is considered to have been able to turn the water into amerta. That kind of Brahmana that actually came to Indonesia at the invitation of the local authorities. They were asked to perform a special ceremony called Vratyastoma. Basically the magic of those brahmins is why they brought to Indonesia. They then got a respectable position among the Indonesian authorities and a core group that developed later brahmin Indonesia. The theory put forward by many people. The point is that the Hindu religion was brought by the sudra who come to Indonesia to improve their life quality. This theory was put forward by F.D.K. Bosch. He said that in the process of spreading the Hindu religion, the Indonesian people have an active role. After being crowned as a Hindu, they are then actively spread the Hindu religion and all its activities. This opinion is based on the findings of the Indian cultural elements in Indonesian culture. According to him, at that time scholars have formed groups called "Clerk". The process of acculturation between Indonesian and Indian culture as a process called enrichment. Castra, namely how to make spells. According to this theory, the Indonesian people not only receive religious knowledge of the foreigners who come. They also actively seek knowledge of religion in the land and pass it after returning to his hometown. The theory of the development of India's Hindu-Buddhist culture in Asia, particularly in the archipelago, as follows. Kalinga empire in India in the 3rd century conquered by Emperor Ashoka of Aryans, it make many of its citizens who migrate to Indonesia. Invasion Khusana race to Indonesia caused many of it's citizens migrated to Indonesia. Coedès found Hinduism to contact Indonesia due to a ban for gold to Siberia by the Emperor Vespasian. Therefore, trader from India look for gold in Swarnadwipa (Sumatra). 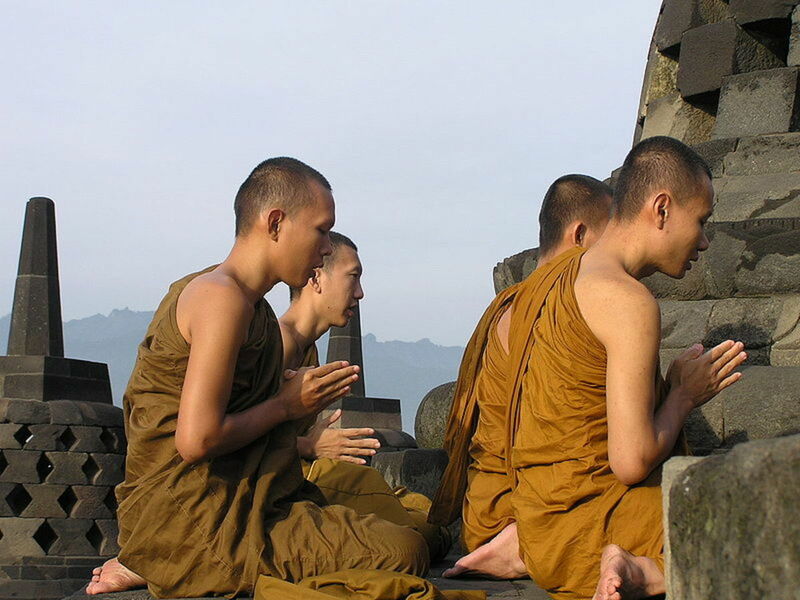 Together with the emergence of Hinduism in Indonesia, also entered Buddhist religion and culture. The news of the entry of Buddhism in Indonesia comes from the testimony of a Chinese named Fa Hien ( Fa Xian ). 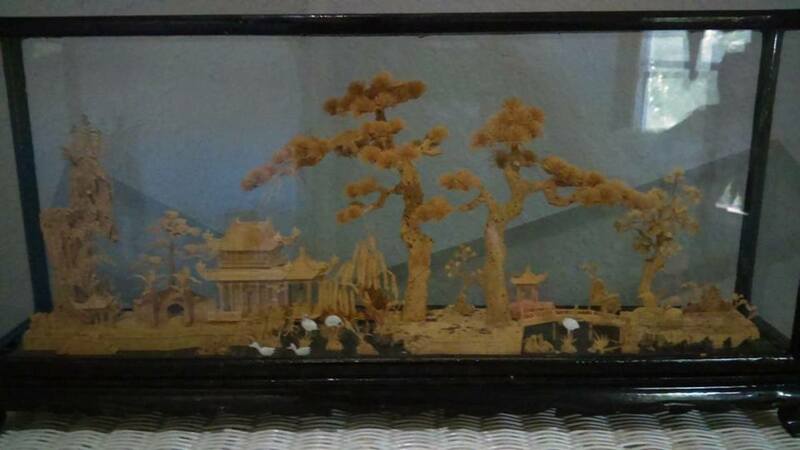 Of India, Fa Hien ( Fa Xian ) sailed back to China. At the time of passing through Indonesia, the ship suffered damage from hurricanes. Fa Hien were forced to stop at Ye-po-ti ( Chince Name for Yavadvipa / Java ). 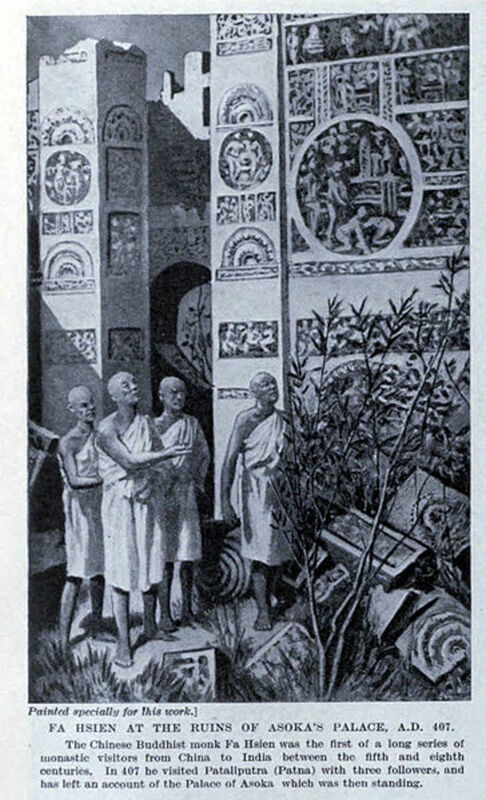 Fa Hien ( Fa Xian ) said that in Ye-po-ti he found many idols of Brahmins, while Buddhism is almost non-existent. That means that in the early 5th century Buddhist religion has not yet enter Java. In the 7th century in Indonesia there are Buddhist inscriptions made ​​by the kings of Srivijaya. 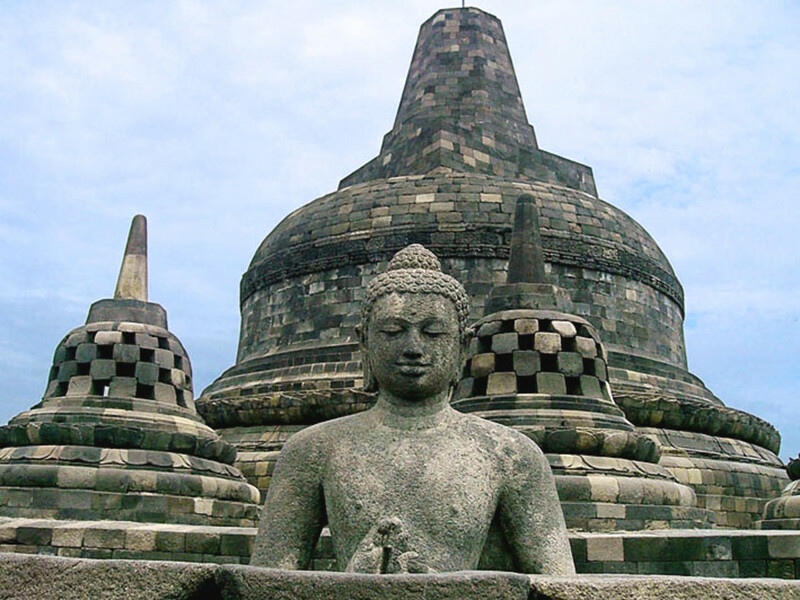 It shows that in the 7th century AD Buddhism already entered Indonesia. Initially developed is Hinayana Buddhism. Because it does not fit with the trade and understand animism life growing in Sriwijaya eventually it develop into Mahayana Buddhism. 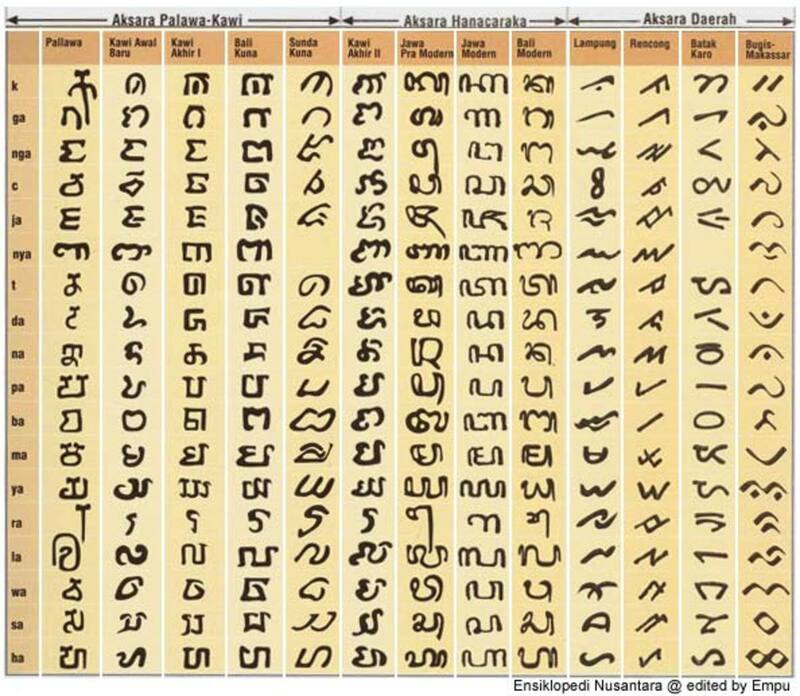 The entry of Indian culture makes the Indonesian people begin to recognize Pallawa letters ( Vatteluttu alphabet ) and Sanskrit language. Thus, the Indonesian people began to enter the history times, which is a period time when humans began to recognize text and leave written information contemporaries. It can be as heritage inscription (inscription carved on stone), writing on palm leaves, or other documents. After the Indonesian nation recognize Pallawa letters ( Vatteluttu alphabet ) and Sanskrit, society and culture growth and developed more quickly. Structure of society began to develop more regular and organized. Communities that previously only a social groups led by chiefs began to recognize the system of government in the form of a patterned Hindu kingdom or Buddha. Hinduism in Indonesia in it's early development brings great influence in the community service system. Caste system which actually means the division of duties and obligations on any person who holds within Hinduism in India is also growing in Indonesia. With the Hindu caste system causes people to live as if each separate and form their own social groups. That caused a huge gap between the high caste (Brahmanas / Brahmin / priest caste and Satrias / Kshatriyas / warrior caste ) and low caste (Wesias / Vaishyas / trader caste and Sudras / Sudhras / workmen caste). That kind Stratification causes the role of the Brahmin caste have the most influence in the governance of public life, including the king. Brahmins too, which reserves the right to read and study the Hindu scriptures ( Vedas ) and a set of religious ceremonies. Therefore, the brahmin always got a high position in any Hindu kingdom ( usually as the king's adviser). Keep in mind that the implementation of the caste system is only valid at the time of the Hindu religion and culture just enter and develop in Indonesia. Along with times, it was only used as a caste system in Hindu teachings in Indonesia today, but not implemented implicitly. Every Hindu has a duty and an equal right to worship and community. Evidence of Hindu-Buddhist influence in Indonesia is as follows. There is a Buddha statues styled Amarawati (South Indian style) in Sempaga, South Sulawesi, and in Jember, East Java. Arca in Sempaga is the oldest. In addition there are also statues of Gandhara style (North India) at Siguntang Hill (South Sumatra) and Kota Bangun, Kutai. 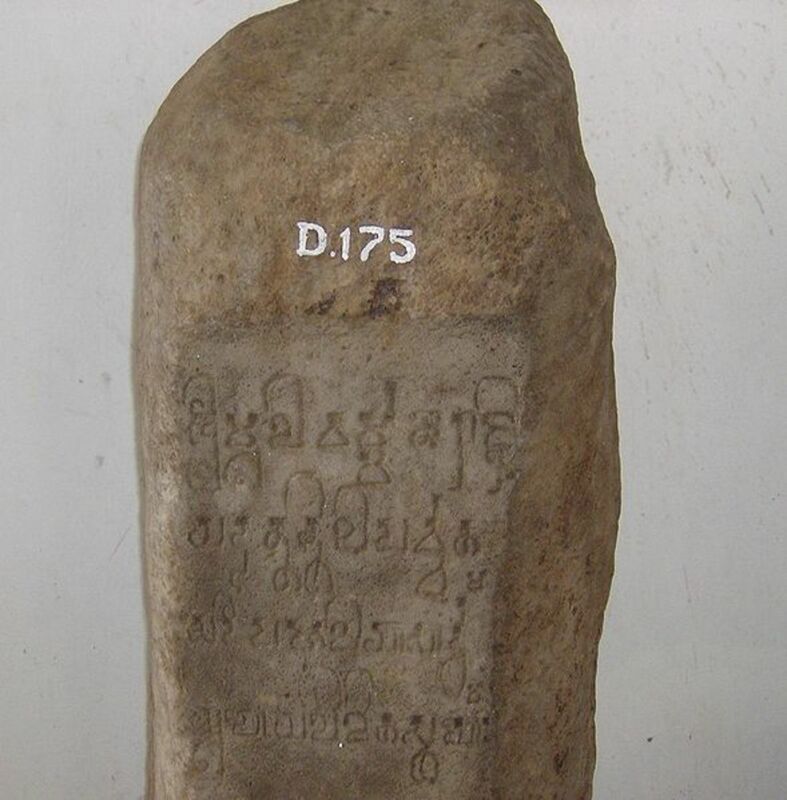 Presence of Pallawa lettered inscriptions and Sanskrit in Kutai and Tarumanegara. The existence of Hindus and Buddhists in Indonesia. The development of sculpture in Indonesia. The use of the term warman as the name of the king in Indonesia as in India. The emergence of Hindu-Buddhist patterned kingdoms. Use of Sanskrit and writing Pallawa in public life. The existence of Hindu patterned literature books. Okay, i think that's enough. I hope you now can understand how the Buddha Hindu religion and culture enter and develop in Indonesia. Next, i will plan to tell you about the interaction between those culture with Indonesian people. After that i plan to cover all the Kingdom, but off course i',m gonna do it one by one. Thanks for reading, feels free to leave any comment and suggestion. Bellaa 27017 Gautama Buddha StatuesThe Supreme Healer Medicine 12" Inches You Will Love.!!! Very nice article Johan! Enjoyed very much. I have studied that PTAH in egypt was in fact the original Buddha hence the similarity in names. He was also a prince who traveled east and left his royalty. The oldest depictions of Buddha depict him very dark skin with wooly hair and elongated ear lobes something not commonly found in asian people. There is also historical evidence of African people traveling to Asia and Indus Kush due to Pangea and the continents being much closer. 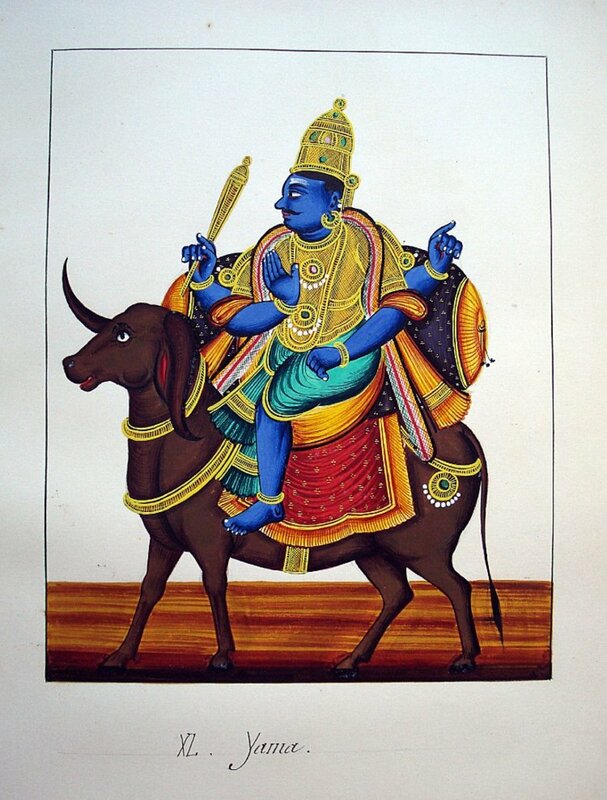 Hence why many of the Hindu deities are also depicted black or dark purple. Just a thought not sure if you have read anything that spoke of these theories. Love the HUB by the way. I started to use the power mantras from Hindu customs for yoga and meditation. Very surreal! Thanks for the comment dear sir, it's history so every people have their own belief. I let the reader decide what they want to trust, and your video should help them decide which were true.